Peckham Town were founded in 1982 as Brimington Park. 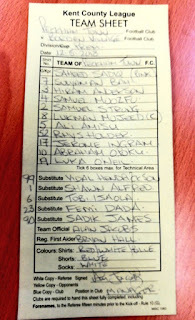 By the end of the year, with the Jamaican Embassy sponsoring the team and many of the players coming from the nearby Drovers Place housing estate, the club changed its name to Drovers Athletic. 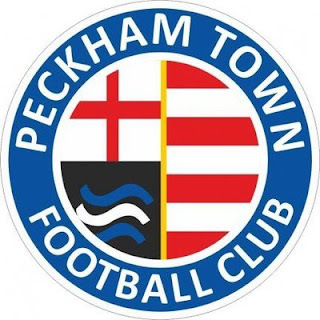 Twelve months later, the club changed name again, this time to the current name due to popular demand for the club to represent the Peckham community. The club played in the Bromley & District League until the beginning of the 2012/13 season, moving into Division 2 West of the Kenty County League. Despite being deducted four points over the course of the season, the club finished as champions to earn promotion to Division 1 West. 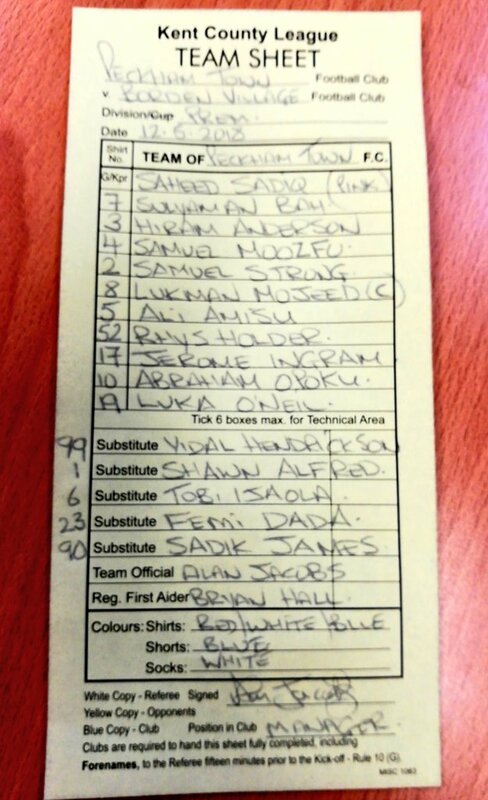 The club then spent three seasons in this league, finishing 2nd each time until being promoted to the Premier Division at the end of the 2015/16 season. In the club's two seasons in the Premier Division, they have finished 3rd and 4th respectively, with the current ambition being to secure promotion to Step 6 in the near future. Initially, I had planned to end my 2017/18 season with Yaxley's cup final on the Bank Holiday Monday, but after that game ended up being less than exciting (despite the title celebrations afterwards), I decided to look for something a little better to end the season on. However, as is often the case, by the middle of May there is very little football above Step 7 available, so if I was to go anywhere it would have to be at that level. My plan had been to wait until Thursday to do some research on where I could go, but then fellow groundhopper Russell Cox (his blog here) posted a list of games he was looking at on Twitter, and among then were a couple of seemingly viable London options (this and Tudor Sports, which is where he ended up going). 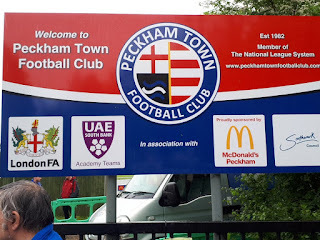 Having heard lots of good things about Peckham's ground, but very little about that of Tudor Sports, I almost immediately made my decision, not wanting to potentially end up at a ground without any football furniture (a concern which turns out to have been unfounded, so Tudor Sports will be on the radar next season). The game had an unusual kick-off time of 2:45pm, but other than being a little awkward in terms of the return journey, this didn't cause any particular problems with getting the train. That being said, I did end up arriving more than half an hour before the stated kick-off time and, with it raining, I decided to get my circuit of photos done quickly before going into the clubhouse until kick-off. What I did not anticipate was the fact that, for I believe the third time that season, kick-off would be delayed, as the away side had apparently been caught in traffic on the way into London from Sittingbourne. As such, kick-off was delayed by 20 minutes, which was problematic for the train after the game (more on that later). Initially, with Borden starting with 10 men for a couple of minutes before the 11th appeared, Peckham were creating the better chances, but on 33 minutes it was the away side who took the lead, a ball over the top and unfortunate mix-up between Peckham goalkeeper and defender allowing Borden's number 14 to get a shot away and score. However, this lead lasted just five minutes, Luka O'Neil receiving the ball in free space in the box and easily putting his shot past the keeper. The half continued to be end-to-end stuff after this, but with no more goals. The second half started after just a 12 minute break, and things quickly unfolded in much the same fashion as the first, the game quickly becoming end-to-end but just missing good finishing to allow more goals. Like in the first half, Borden had the ball in the net first after a cross and header on 53 minutes, but the linesman rightly flagged for offside and it was disallowed. Both teams then spent much of the rest of the half trying to break through and each came close on several occasions, but it took until the 85th minute for the third and final goal of the game to come: after some excellent build-up play around the box, a Peckham player got a goalbound shot off, only for Borden's number 12 to keep it out with his hand. Had he been the goalkeeper, that would have gone down as an excellent save, but he wasn't and the referee had no choice but to send him off and give the penalty, which was duly converted by Ali Amisu. 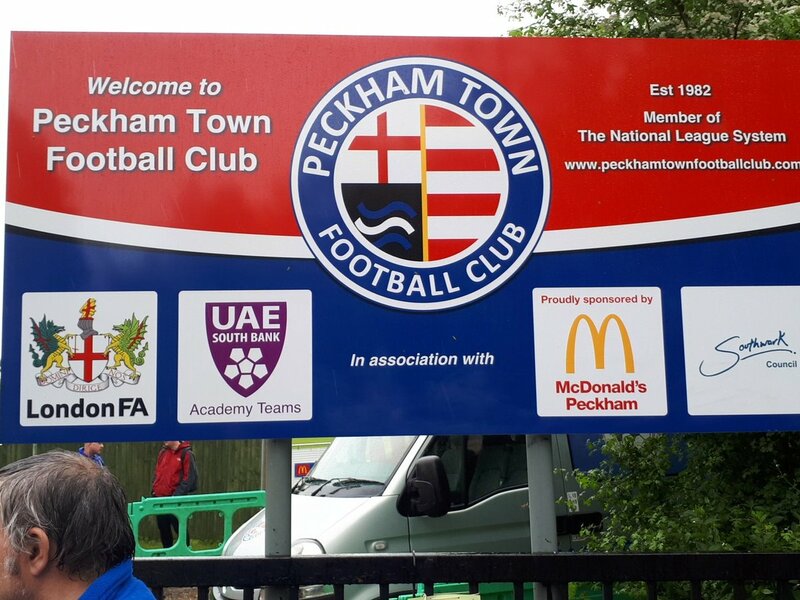 Overall, for an end-of-season contest that didn't really have anything riding on it, this was a reasonably entertaining game, with Peckham in particular playing some really nice stuff at times, even if it didn't always come off for them. Borden were a more, shall we say, conventional footballing side, but they still contributed to an entertaining contest even if they did ultimately end up losing. Overall, despite the miserable weather, this was an entertaining groundhop and a fine way to end my 2017/18 season, with a decent game, very friendly club and good crowd to boot, including several groundhoppers and numerous fans of both Dulwich Hamlet and Tooting & Mitcham United, alongside the club's Menace Ultras. Those will do as a starting point, but I could get much more specific with my aims if I wanted to (although it's not entirely easy to do so yet, with fixtures not having been released for many if any leagues yet). Menace Arena is an excellent ground for Step 7, with some sort of cover on three sides of the ground. This includes a 100-seater main stand on the far side, an area of covered standing (with room for around 100 people) behind the near goal, a very small covered stand on the near side with 5 or 6 seats in it and an area of cover in front of the clubhouse. As for hard standing, this is only currently on the near side, mainly in the area in front of the clubhouse. The rest of the ground is grass standing, which on a rainy day such as when I visited is less than ideal. While the ground is definitely impressive at Step 7 level, a decent amount of work is still necessary to make the ground acceptable for Step 6, which is where the club want to be in the near future. Most fundamental of these is floodlights, but a planning application is in place to get these, so that should soon be resolved if all goes well. That aside, there are no dugouts at the ground, nor is there a payhut or turnstile or anything of the sort with which to take admission. I also imagine more hard standing would be required, but I'm not sure how strict ground grading is with that. However, with a few of those improvements, the ground will be an excellent addition to Step 6, and would probably be good enough for Step 5 as well at that stage, should the club continue to progress as they have done and as they evidently want to.